You're gonna love this Robust Roast Beef Sandwich! 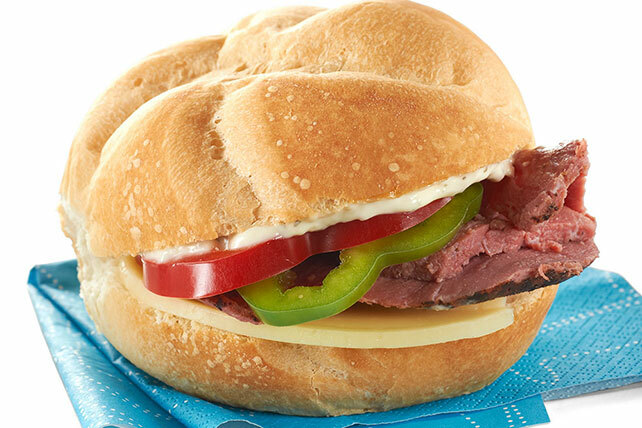 Pepper rings add a crunch to the tender, juicy beef that makes this roast beef sandwich tough to beat. Spread cut sides of roll with mayo. To serve warm, place assembled sandwich on microwaveable plate. Microwave on HIGH 30 sec. or until heated through.